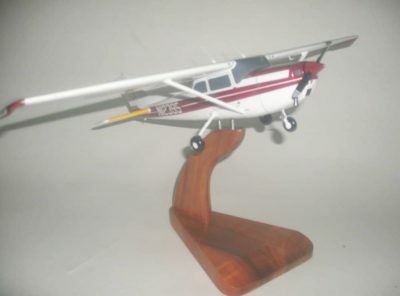 Proudly display your VP-4 Skinny Dragons colors with this 18 inch wooden P-3C model. 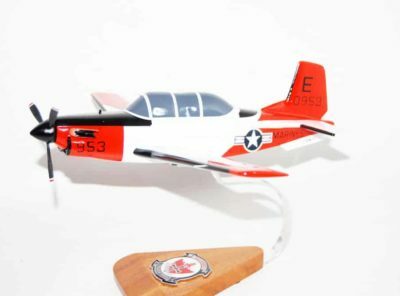 We create one BUNO at time by carefully carving and painting pieces that will bring back some great memories! 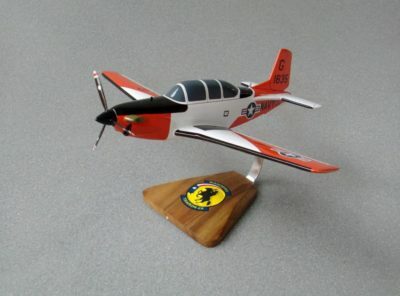 Patrol Squadron FOUR has a long and distinguished history dating back to pre-World War II. The first squadron designated Patrol Squadron FOUR (VP-4) was established in 1928 and was based in Pearl Harbor, Hawaii. Re-designated Patrol Squadron TWENTY-TWO (VP-22) in 1938, the squadron was nearly destroyed during the Japanese attack on 7 December, 1941. Following the attack, the squadron was reformed, refitted, and called to duty in World War II. While in the defense of the Philippines the squadron lost all but one aircraft leading to the disestablishment of the squadron. This paved the way for the second Patrol Squadron FOUR to be formed. In July 1943, a new bombing squadron, Bombing Squadron ONE HUNDRED FORTY FOUR (VB-144) was established in Alameda, California and continued to conduct combat and reconnaissance operations throughout the Pacific P2VFormsTheater. VB-144 was redesignated Patrol Bombing Squadron (VBP-144) in October of 1944. Following the war, VPB-144 was placed in an inactive status and existed only administratively at Naval Air Station (NAS) North Island, California. On 15 May 1946 VPB-144 was redesignated Patrols Squadron (VP-144). Shortly thereafter, on 15 November 1946, VP-144 was redesignated Medium Patrol Squadron (Landplane) FOUR (VP-ML-4), M for multi-engine, L for light. In 1947 VP-ML-4 was reactivated at Naval Air Station Miramar, California. 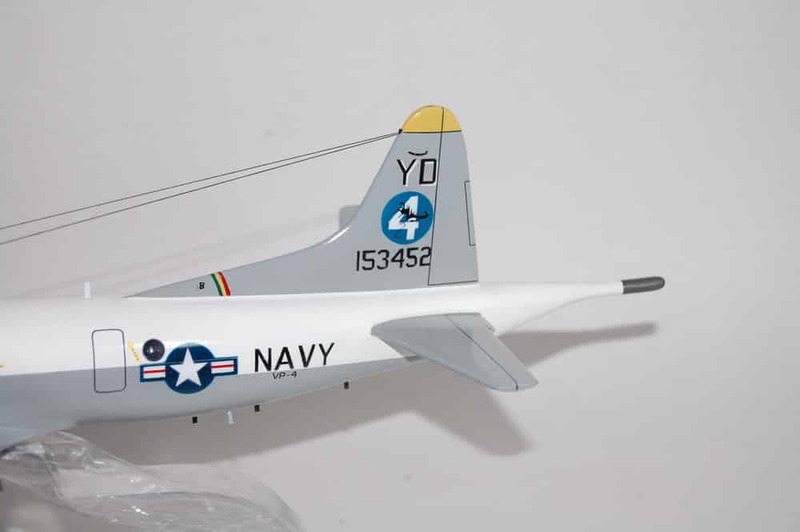 After taking receipt of the United States Navy’s newest patrol and reconnaissance aircraft, the P-2V Neptune, VP-ML-4 moved to Naval Air Station Whidbey Island, Washington in January of 1948. In September of 1948 the squadron was redesignated Patrol Squadron FOUR (VP-4). These events mark the birth of the squadron as we know it today. In 1956, VP-4 was again relocated, this time to Naha,Okinawa, Japan.Okinawa Patch From this base,the squadron flew reconnaissance and Anti-Submarine Warfare (ASW) missions to counter theCommunist Chinese threat to the islands of Matsu and Quemoy. 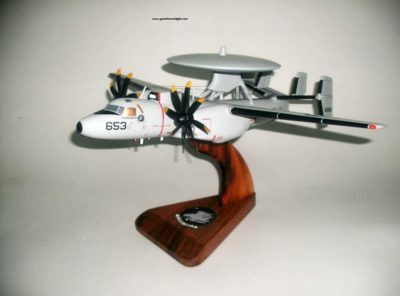 Starting a long-standing tradition of excellence, in 1964, the squadron marked its fourth year of unequaled operational excellence with three Commander Naval Air Forces Pacific(COMNAVAIRPAC) Navy “E” Ribbon, three Chief of Naval Operations (CNO) Safety Awards, andfour Arnold J. Isbell ASW Awards. In April 1964, VP-4 returned to their original home of Barber’s Point, Hawaii. From there, the squadron made numerous deployments to Southeast Asia in support of military action in Vietnam. It was on one of these deployments in 1965 when the squadron logo was changed from the Okinawa-era “Neptune” design to a Hawaiian-inspired “Black Griffin”. The logo caused some confusion on the part of waitresses in the local Officer’s Club, who remarked that it more closely resembled a “Skinny Dragon” and the new nickname was quickly adopted. 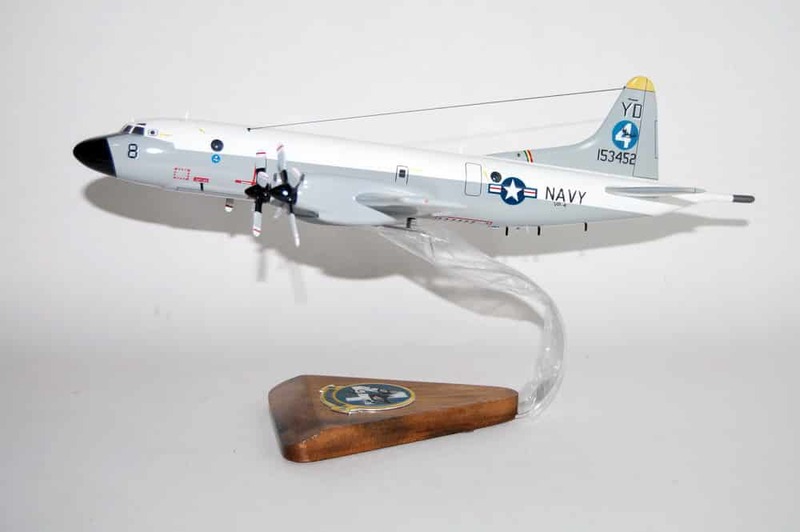 In 1966, the Skinny Dragons began transitioning from the P-2V Neptune to the P-3A Orion. Following completion of the transition, PATRON FOUR again made history by becoming the first Hawaii-based squadron to deploy P-3A’s to Naval Station Adak, Alaska. In 1972, VP-4 was awarded the Meritorious Unit Commendation for its efforts during Operations MARKET TIME and YANKEE STATION. During the 1975 deployment to Cubi Point, VP-4 participated in the evacuation of South Vietnam and the “Mayaguez” recovery operations and in 1976 saw detachment operations to Naval Air Station Agana, Guam during which the squadron participated in Australia’s Kangaroo II fleet exercise. p2vdiamnodheadIn July 1978, the “Skinny Dragons” assumed the Guam Detachment and simultaneously conducted operations that stretched around the world including locations as distant as: Cubi Point, Barbers Point, Moffett Field, Brunswick, and Sigonella. Patrol Squadron FOUR finished transitioning to the P-3B (MOD), or “SUPER BEE” in May 1979. The squadron then started a work up period for its next Cubi Point deployment, which began in November 1979. 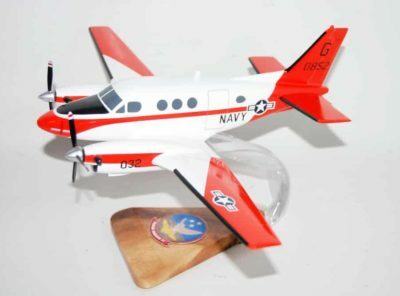 While assigned to COMNAVAIRPAC VP-4 was awarded the Navy Battle “E” Award fo operational excellence for the cycle from 1 January 1979 to 30 June 1980. During the height of the Cold War, VP-4 fought on the front lines. Making numerous deployments to Naval Air Station Cubi Point, Philippines, Diego Garcia, British Indian Ocean Territory, Kadena and Misawa, Japan, the remote island of Adak, Alaska and countless other remote detachment sites, the squadron located, tracked and collected vital intelligence on Soviet ballistic missile and attack submarines. 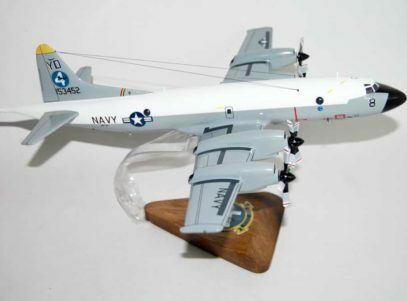 This era in VP-4’s history is marked by a number of “firsts” including becoming the first squadron at Naval Air Station Barbers Point, Hawaii to transition to the P-3C, the first Barbers Point squadron to deploy to Diego Garcia (May 1980), and the first Hawaii squadron to deploy with P-3C’s to Adak, Alaska (1981). VP-4’s operational excellence and contributions to the Cold War were recognized in 1987 in earning the Navy “E” Ribbon award. 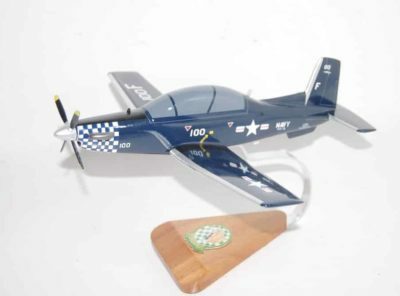 Additionally, during this time, the squadron’s concern for the safety and welfare of it’s Sailors was marked by surpassing 100,000 hours of mishap free flying and earning back-to-back Golden Anchor Retention Excellence awards in 1987 and 1988. In 1988 VP-4 returned to Hawaii where they participated in numerous exercises, including RIM OF THE PACIFIC EXERCISE and READINESS EXERCISE. The highlight of the year was receiving their second consecutive Golden Orion and Golden Anchor Awards for retention, an unprecedented accomplishment for a deployable pacific squadron. In 1989 the “Skinny Dragons” completed highly successful deployment to Adak, Alaska. While in Adak, VP-4 conducted numerous Anit-Submarine Warfare (ASW) operations and participated in PACIFIC EXERCISE-89, the largest Naval exercise since World War II. Upon returning home to Hawaii, VP-4 learned that it had again received the Golden Anchor and the Commander Patrol Wing Pacific Golden Orion for retention excellence. In November 1993, VP-4 deployed to Misawa Air Base, Japan, and established a permanent detachment in Kadena, Okinawa. 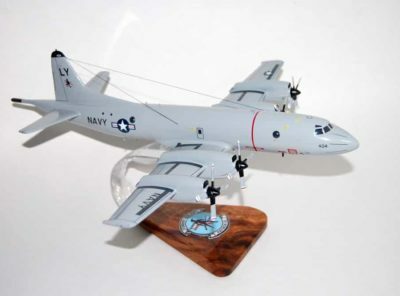 While on deployment, VP-4 received the 1993 Chief of Naval Operations Aviation Safety Award for a Pacific Fleet Maritime Patrol Squadron, the Commander SEVENTH Fleet Award and the Captain Arnold Jay Isbell Trophy, both for Anti-Submarine Warfare (ASW) excellence. After completing a challenging at home training cycle, VP-4 conducted a split-site deployment to Misawa AB, Japan and Kadena, Okinawa, in 1995. During this deployment the squadron flew around the clock for seventeen straight days during the People’s Republic of China-Taiwan Crisis providing intelligence support and protection against anti-surface and subsurface threats to both the NIMITZ and INDEPENDENCE Battlegroups. 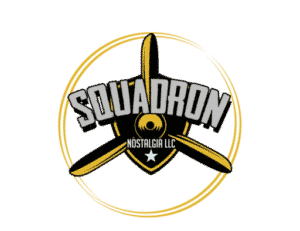 In early 1997, Patrol Squadron FOUR again set the West Coast standard completing a quad-site deployment to Diego Garcia, Masirah, Bahrain, and Kadena. While on deployment, Skinny Dragon aircrew and maintenance personnel conducted the first permanent detachment in the Arabian Gulf. In addition, VP-4 acted as the armed detachment from Doha, Qatar, flying 21 straight days with weapons and exercised the first 24-hour armed ready alert Maritime Patrol Aviation (MPA) posture in the Arabian Gulf. In addition, VP-4 acted as the fleet’s “eyes in the sky” in support of Maritime Interdiction Operations enforcing United Nations Security Council resolutions and the Iraqi Oil for Food program. In December 1998, Patrol Squadron FOUR again deployed to six sites around the Middle East. During their deployment, the “Skinny Dragons” participated in three combat operations: Operation DESERT FOX, where they were awarded the Navy Unit Commendation; Operation SOUTHERN WATCH, where VP-4 triggered the initial strike and delivered pre and post-strike imagery; and the Operation ALLIED FORCE/NOBLE ANVIL in Kosovo,which resulted in the Skinny Dragon Crew 10 being awarded 11 Air Medals. In home waters that same year, VP-4 flawlessly hosted 35 countries during RIMPAC in 1998. Again dictating Navy standards, Patrol Squadron FOUR was the first VP squadron to introduce the Anti-Surface Warfare Improvement Program (AIP) to the Fleet. The Skinny Dragons proved AIP’s power during deployment byOrionMaverick supporting three battlegroups in the Arabian Gulf, and becoming the first squadron to achieve reliable AIP imagery transfer. 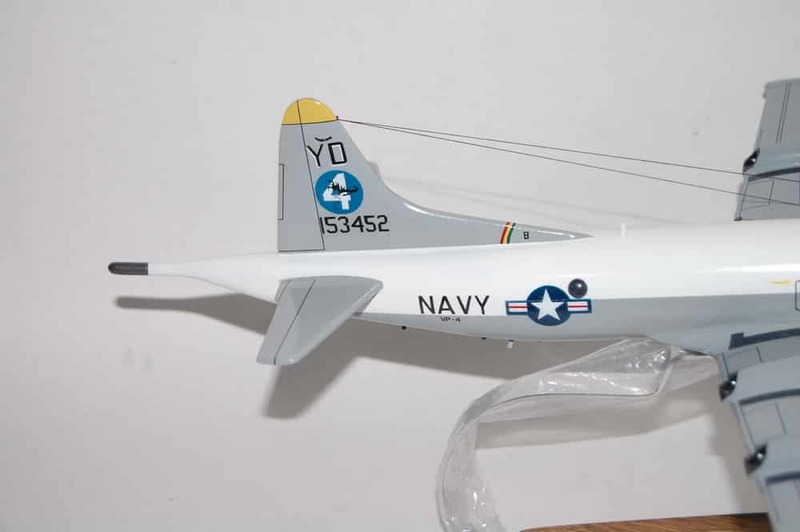 VP-4 was also the first squadron in the SEVENTH Fleet to fire the Maverick Missile from an AIP aircraft. In November 1999, Patrol Squadron FOUR flew to North Island, California to participate in Joint Fleet Exercise (JTFEX/FLEETEX). While at JTFEX/FLEETEX, the Skinny Dragons participated in 23 events including AIP and Standoff Land Attack Missile (SLAM) demo flights. In June 2000, the “Skinny Dragons” kicked off the new millennium with an outstanding WESTPAC deployment as VP-4 conducted detachments in 13 countries and participated in 27 multi-national exercises. 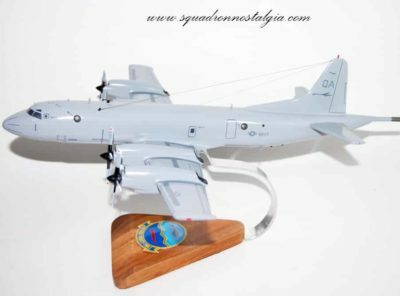 The multi-mission P-3 was also used to save 22 lives in various Search And Rescue operations within SEVENTH Fleet’s Area of Responsibility. Continuing high standards of excellence, the squadron was again honored with the Navy “E” Ribbon Award in 2000, making it three in five years. After the tragedy of 11 September 2001, the “Skinny Dragons” were once again called to the defense of America. The “Skinny Dragons” found themselves in the skies above Afghanistan flying armed reconnaissance missions and over the waters of the Middle East conducting Leadership Interdiction Operations in the first days of what has now become the Global War on Terrorism. Over Afghanistan, VP-4 aircraft provided commanders a bird’s eye view of the terrain where special operations forces were operating to dislodge Taliban and Al-Qaeda fighters from their mountainous hideouts. The “Skinny Dragons” played a pivotal role in Operation ANACONDA, the largest land battle in Afghanistan to that date. Over water, aircrews were instrumental in operations to intercept and cut-off fleeing Taliban and Al-Qaeda fighters. For their efforts, the “Skinny Dragons” were once again recognized with the 2002 Navy “E” Ribbon Award. Light Blue DragonDuring the 2003 deployment, Patrol Squadron FOUR continued their contributions to the Global War on Terrorism by flying daily missions in support of Operation ENDURING FREEDOM-Philippines providing critical real time intelligence. These missions highlighted the expanse of Coalition operations against Al-Qaeda and Al-Qaeda backed terrorists. 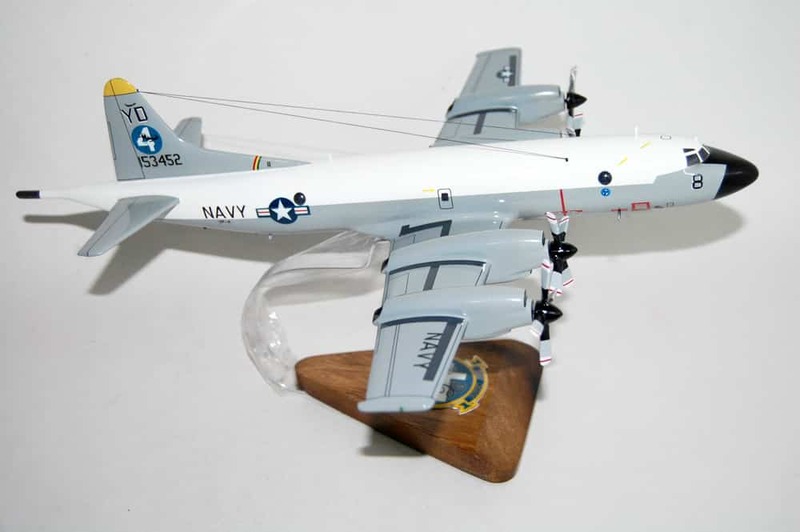 Patrol Squadron FOUR also had the opportunity to conduct the P-3C’s primary mission, Antisubmarine Warfare or ASW, against diesel and nuclear powered submarines. All told, the “Skinny Dragons” successfully completed this deployment by flying over 4,000 mishap-free flight hours and completing over 800 missions. In 2005, VP-4 successfully completed a wartime deployment to the Middle East and Western Pacific. 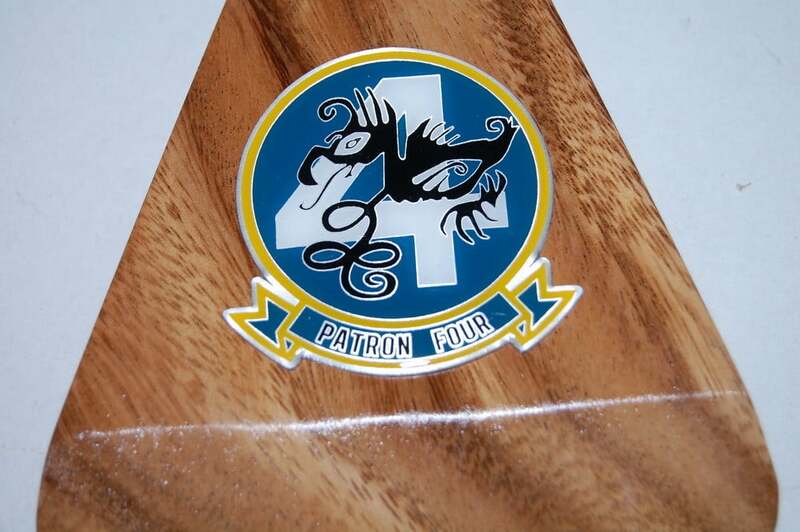 Patrol Squadron FOUR carried out a wide variety of missions ranging from humanitarian assistance and disaster relief support missions to the Indian Ocean tsunami victims, to direct support of ground combat operations in support of Operations IRAQI FREEDOM and ENDURING FREEDOM-Afghanistan. In December 2006, VP-4 deployed to Misawa and Kadena, Japan, and to the Philippines in support of Operation ENDURING FREEDOM. OrionMaverickThis was followed by a return to Iraq in support of Operation IRAQI FREEDOM, in November 2008. Also on this deployment, VP-4 supplied detachments in support of numerous joint, multinational exercises, in Lakenheath, Scotland, and Sigonella, Sicily. This experience proved invaluable during the ensuing interdeployment readiness cycle, when the “Skinny Dragons” successfully planned, hosted, and executed the world’s largest joint, multinational military exercise, RIMPAC 2010. Following completion of a series of detachment operations providing exemplary fleet antisubamarine warfare support PATRON FOUR departed Kaneohe Bay for a split site deployment in November 2010, supporting assets in both 5th and 7th Fleet areas of responsibility. Following the catastrophic earthquake and tsunami on March 11th, 2011, VP-4 forward-deployed to Misawa AB, Japan, in fewer than 24 hours and re-established CTG 72.4 as an operational entity and the first US aviation unit on-station for Operation TOMODACHI. The Skinny Dragons provided 254 hours of critical humanitarian and disaster relief support to the Japanese people. In November 2012, Patrol Squadron Four was deployed to the U.S. Sixth Fleet to aid Task Force 67 (CTF-67) to provide professional and relevant support to Naval Forces Europe, Naval Forces Africa, NATO and Unified Commanders. They are a valuable asset in support of airborne Anti-Submarine Warfare, Intelligence Surveillance and Reconnaissance, and Theater Security Cooperation in the European and African theaters. Patrol Squadron Four’s most recent deployment in the Fifth and Sixth fleet was from June 2014 to February 2015 and was regarded by the Navy as a resounding success. The Skinny Dragons began deployment with an operational detachment to Keflavik, Iceland, in support of emergent Theater ASW tasking. Additionally, VP-4 provided support to the Organization for the Prohibition of Chemical Weapons, enabling the safe destruction of chemical weapons in the international waters of the Mediterranean Sea. Patron Four was recognized for their monumental operational achievements and Theater ASW prowess while simultaneously taking part in 5 exercises located in Bulgaria, Finland, Spain and Turkey.